Home » Blog » Wedding Chatter » And the winner is!!! Well doing this job you get to meet all sorts of people, some funny, some serious, some positive and then some mad as a box of frogs!!! 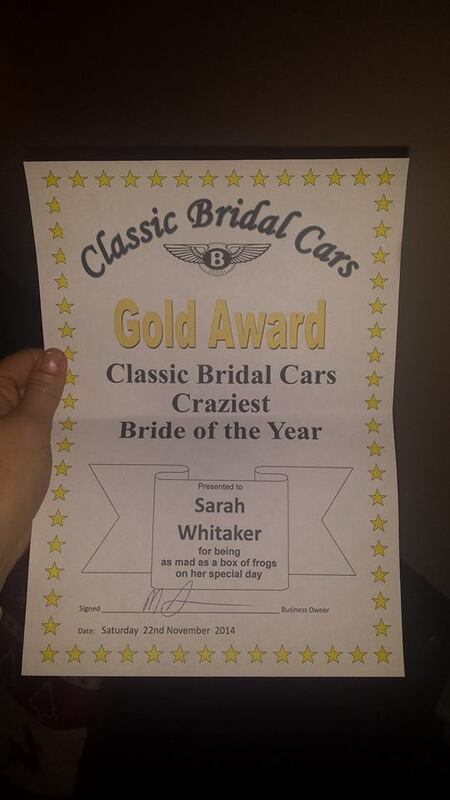 I started doing an award for the bride I thought was the craziest or most outgoing on her day. It was a close call this year of the coveted title. Sarah Whitaker whose amazing wedding at Inglewood Manor was a fun filled day. I do wish all my weddings were like this… ern no hang on, some of my weddings haha. My headache did go eventually. ← What’s the phonebox record?